The colour is soft (better photos to follow! ), quiet and elegant without too much pink or brown. Fingernails look subtle and almost like you have no polish on, which is what you want sometimes. 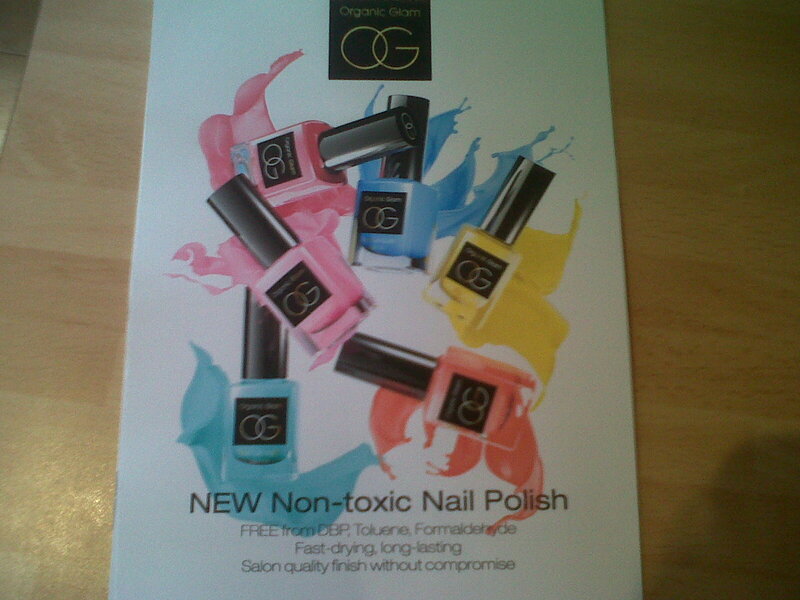 Formulation: ‘free from the toxins usually found in nail polishes’. Free from DBP, toluene and fomaldehyde. DBP is dibutyl phthalate – a common plasticizer used in glues or inks. Used to be used in nail polish but not since 1990s. It’s now banned in EU cosmetics and restricted in use of children’s toys too (source: Wiki) as it’s a suspected endocrine disruptor. What does this mean? An endocrine disruptor simply means a substance that interferes with hormones in the body. Studies on animals and fish have shown hormonal changes with certain substances and the fear is that low-level exposure over a long period of time will cause similar effect in humans. Back to the other ingredients – Toluene is a petroleum derived product found in low levels in crude oil. Used mainly as a solvent but temporarily toxic if inhaled – it’s been used as a drug for its intoxicating properties. Formaldehyde is a gas that can be toxic but used for many industrial purposes. It’s also a good disinfectant and used for embalming. (According to Wiki) 23 million tonnes of formaldehyde were produced in 2005 around the world. There are safety issues surrounding it and it’s possible to be allergic to it. Back to the beauty! There are 29 shades in the range – lots of pinks, reds and oranges with a few quirky shades for summer such as aqua and lemon. There is also gold and silver. Price £9.99 (11ml). It’s great to have more choice of toxic-free nail polish. Others I really love include Zoya (with an impressive catalogue of hundreds of shades) and Butter London. Are there others you’ve tried and rated? Let me know!